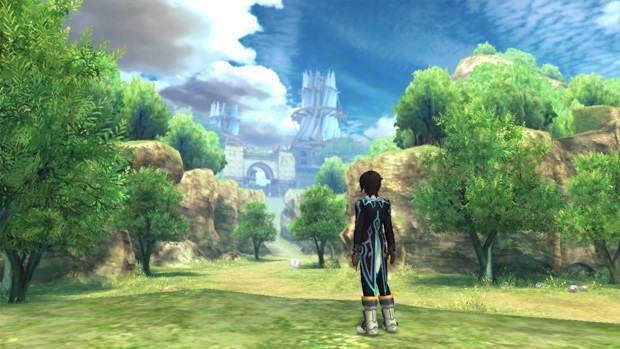 Tales of Xillia finally launches outside of Japan, and it’s everything you were hoping for. It’s easy to feel like we’re missing out on a lot in the West, particularly if you’re a big fan of JRPGs. I’m still waiting on games like Sega Gaga, curious titles I’m excluded from as an English speaking brute who happens to be very bad at learning languages. No amount of importing will cure my stupidity, but Namco have been kind enough to start bringing more Tales games to western territories, with last year’s Tales of Graces F marking a long awaited deluge of Tales games finally making their way out of Japan. Xillia had suffered a similar delay but, not that it is finally with us, we can say that it was worth the wait. The tale revolves around Jude, a medical student in the big city, and his encounters with Milla, the incarnation of a great and powerful spirit who can command the elements. Jude encounters Milla whilst looking for his missing professor and, after both of them are sucked into a big military conspiracy, Milla has her powers stolen and she and Jude are branded as outlaws. "Level ups grant you points that you invest into each characters' lilium orb. It looks a bit like the sphere grid from Final Fantasy X, with a variety of nodes you can activate that grant you different stat boosts." The story revolves around Milla’s journey to regain her powers and restore balance to the world, with Jude tagging along in an effort to find his place and true calling in life. 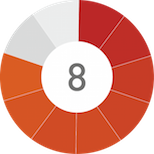 It’s a typical Tales narrative of personal growth, but one that is told with appropriate aplomb. The characters certainly help, a typically likeable bunch with enough personality quirks to keep you invested. The story offers enough twists and turns to keep you guessing, a winning formula that constantly keeps Xillia feeling fresh. No quest to save the world can be completed without a few scraps, and it’s here that the Tales series has always earned its place in the RPG canon. Playing out more like a beat ’em up than a traditional RPG, Xillia keeps this tradition going; a masterful mix of accessible high-octane action with enough skills, stats and ultimate moves to keep you invested throughout. 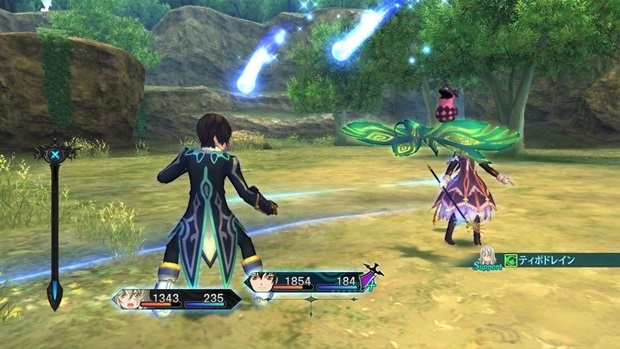 A fair few innovations are introduced in Xillia though. You can now create and switch links between your character and another party member on the fly and, depending on who you link with, you see different benefits. Some characters stun fast enemies, others can perform guard breaks on more defensive monsters and all characters will unleash pretty decent tag team combos when linked. Linking also opens up a linked skill system, whereby two characters can unleash their skills in tandem for maximum damage. It probably sounds reasonably standard in the abstract, but the pace at which combat flows keeps you on your toes throughout. 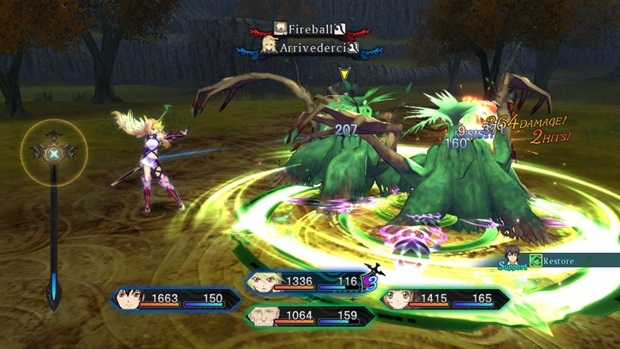 There is seldom a dull moment in Tales of Xillia’s battles. Levelling and upgrading your heroes is also different to previous Tales titles. Level ups grant you points that you invest into each characters’ lilium orb. It looks a bit like the sphere grid from Final Fantasy X, with a variety of nodes you can activate that grant you different stat boosts. "Where the level designs falter, the characters stand strong. They look great, with a visual design that will be hugely resonant with fans of anime. " Certain nodes are nestled between the lines and, if you can activate all the nodes that surround one of these, you can get the skill hidden within. It sounds like a great system but, for all the levelling up options it gives, it is quite limited in how similar each character’s lilium orb is. Whether it’s a mage, healer or straight up warrior-type hero, the nodes are almost identical, differing on only a few key skills. It’s not a bad system at all, but a bit more variety would have gone a long way. Shops are a little different to conventional RPGs as well. Rather than each new area offering fresh gear, you need to level up the shops to get access to new tiers of equipment. You can do this by contributing gold, or by donating certain types of loot gained in the field. Managing this makes for an interesting new system and, whilst it doesn’t offer much more than an interesting distraction, credit must be given for the attempt to innovate. Searching for relevant loot will certainly be an addictive call for those wanting the best gear, but it is hampered by how hit and miss the level designs can be. Every multi-layered and rewarding level is offset by the inclusion of a map that is the gaming equivalent of watching paint dry. It gets tedious after a while playing through such sparse environments, but at least the low points are bailed out by the great combat and story. Where the level designs falter, the characters stand strong. They look great, with a visual design that will be hugely resonant with fans of anime. They are slightly let down by last gen facial animations, but the bright and vivid world manages to shine through the graphical infidelity. The sound doesn’t hold up quite so well. The dull soundtrack is a mixture of hard rock battle riffs and mediocrity. It’s perfectly listenable but, outside of some interesting Chinese string instrumentation, it will be resigned to the back of your mind fairly quickly. Harder to swallow is the voice acting. "You may feel a bit hard done by paying full price for a game launched so long ago in Japan, but the sheer amount of content makes your investment worth it." Whilst it is a much higher calibre than many JRPGs can boast of, it still has a few cringe-worthy performances. Jude’s vocals do grow on you as the game goes on, but his “plucky young hero” acting is painfully generic. I always opt for the Japanese voices with subtitles where possible on games like Xillia, so the lack of them was a truly frustrating omission. Granted, this would be a huge technical burden to include, but it’s annoying not having the option when the English dubs for all Tales games are of such a mixed quality. You may feel a bit hard done by paying full price for a game launched so long ago in Japan, but the sheer amount of content makes your investment worth it. The story itself is huge and the abundance of side quests further bolsters Xillia to help it stand toe to toe with even the largest of RPGs. Players are given the choice to play through Jude or Milla’s story when they start a new game but, whilst this may make you think you’re getting two games for the price of one, they aren’t that much different at all. Jude and Milla separate at only a few points in the story and, whilst the two stories fill in the relevant gaps, it feels like a last minute addition that wasn’t particularly well thought through. It’s a missed opportunity, but it doesn’t do any harm. 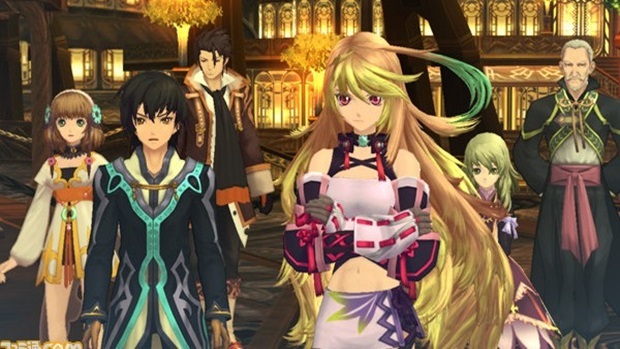 There are plenty of changes that help Xillia stand out above most contemporary RPGs (other games in the Tales series included). You can consider it essential gaming if you’re a series fan or a dedicated RPG player in general, as the story and gameplay are top notch. I’m not entirely convinced it deserves the crown of “best Tales game” that so many fans have attributed to it, but that’s an argument I’ll leave for the forums. This is a great addition to your collection, and a fantastic title to finally have on our shores. Stop messing around and go pick it up.